If you regularly hire IT professionals at salaries of $80K or more, you're spending a giant pile of money. 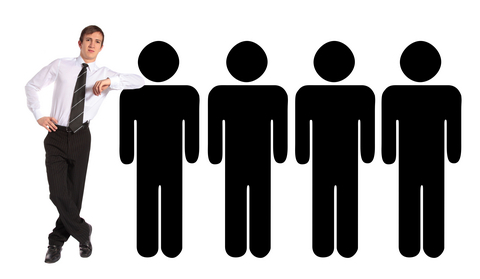 Most IT staffing agencies charge between 18% and 25% to find you qualified candidates - we know, we do too. But IT WorkSource is expanding and we want you to see what's been fueling our success. So we're putting our money where our mouth is, so that you can experience what it's like to have IT Professionals finding your IT Professionals. Show us what you paid for your last hire from an IT staffing agency, then give us a shot. We'll provide you with qualified candidates and give you a 50% discount off whatever you last paid, on your first hire from us. If you paid 20% on an $80K hire, we're going to save you $8,000 on your next hire. Then, we'll continue to save you 10% on all future placements locking your rate in at 18%. If you hire as little as 10 IT professionals per year, your savings will add up to $66K in just three years. Please note that job openings in CyberSecurity, Governance, Compliance & Risk Management are not eligible for the IT WorkSource "Get to Know Us @50% Off Promotion".